The world's most famous cat is back!! 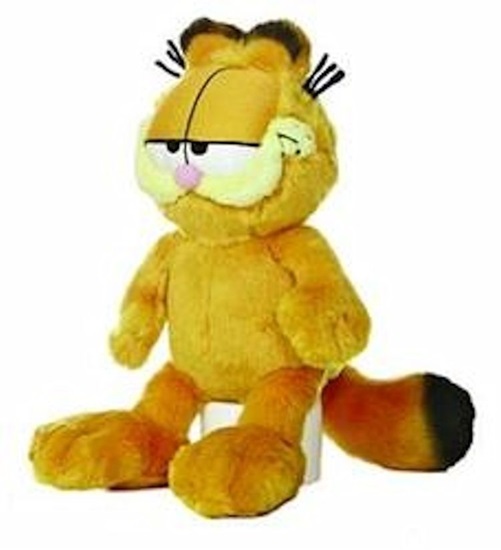 Aurora brings out Garfield, a 10-inch, soft plush floppy cat with his lazy eyes and endearing grin. He has his classic orange plush body, with black stripes across his back, and the tip of his tail, and ears are black. His has a soft pink nose and his body is bean filled, making him perfect for flopping, or sitting. He comes with a unique, double-sided "Catittude" hangtag featuring the classic Garfield cartoon. "Garfield" is good for ages 1 and up and is surface washable.